The XP-10 is unrivaled for performance and quality in the mini jump-start segment. It was rated the #1 BEST JUMP STARTER. That says a tremendous amount about the quality and abilities of Antigravity Batteries products. See how Consumer Reports stacks us up against the competition. 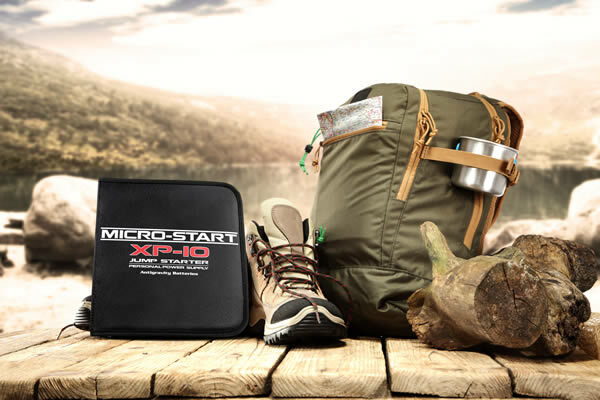 The Micro-Start XP-10 Portable Power Supply (PPS) has proven to be the go-to device for professional mechanics as well as everyday riders and travelers. 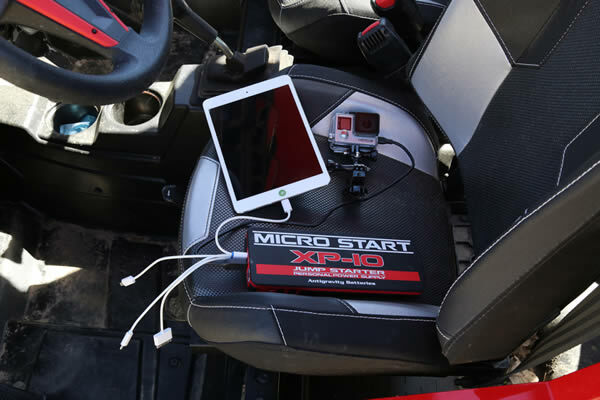 The XP-10 PPS is our BEST SELLING micro jump-starter & personal power supply. It is small enough to fit in your hand, yet so powerful it can JUMP-START DIESEL vehicles up to 7.3 liters, as well as Gas engines. Easily start Cars, Trucks, Motorcycles and Powersports vehicles. Amazingly it can also POWER & CHARGELaptops, Tablets, GPS devices, Cameras, Smartphones and more. This model offers 2 USB charging ports in addition to its 19V and 12V charging ports. It has a very high capacity of 18,000 mAh and up to 600 Peak Amps for massive starting capabilities! The XP-10 is lightweight and compact (only 18 oz, 9 x 3.2 x 1.2 inches). It’s your own multi-function power supply to take anywhere you go. Whether you are riding, driving, camping, boating, or traveling, remain confident that you will be able to start your vehicle, make that important call, or get that last bit of work done. The XP-10 even has a 3-mode hi-power 110-Lumen LED Flashlightbuilt-in, with 2 flash patterns including a S.O.S. flashing beacon. 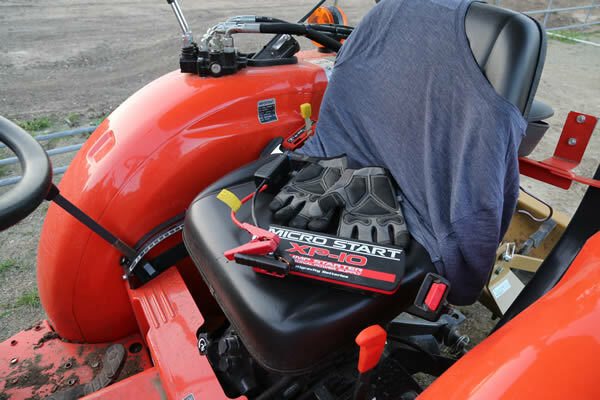 The Micro-Start is incredibly SIMPLE to use. Easily take back-up power everywhere. No need for an electrical outlet or a power station; the XP-10 is a self-contained battery jumper pack & device charger. 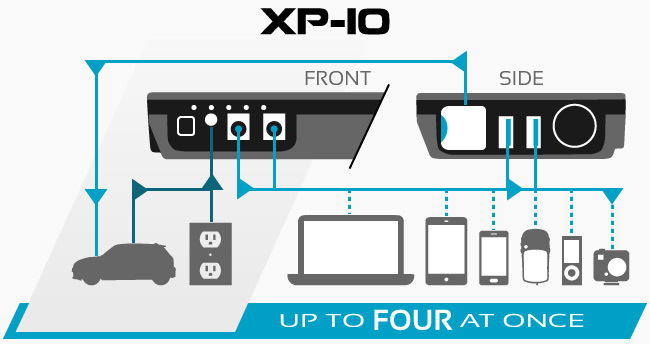 The XP-10 comes in a convenient Carry Case with EVERYTHING you need to Jump-Start your Vehicles and Charge your Electronics no matter where you are.